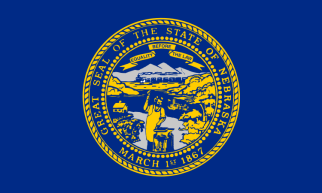 Nebraska birth records starting in 1904 are available by mail or online for a fee, with proper government-issued photo identification, from the Vital Records Office. See here for additional information about obtaining birth records and here for information about certificates of birth resulting in stillbirth. Birth records are available to the spouse, parent, and child. Nebraska death records (starting in 1904) are available to by mail or online for a fee with proper government-issued photo identification from the Vital Records Office. Death records are available to a spouse, parent, next of kin, or legal representative of the deceased. Fees for either type of record may be paid by personal check or money order payable to Vital Records (mail) or by credit card (online). Note: Records may also be ordered at regional offices in Omaha, Kearney, North Platte, Norfolk, and Gering. Record Access Requirements: Non-family members must have a notarized, signed release from person of record or immediate family member for investigative purposes. If the birth certificate is more than 50 years old, a release form is not required. Closed records are not released. Search Note: Also, all requesters must include copy of government-issued photo ID. A request form may be downloaded from the web. Note: If a certificate is more than 50 years in the past, release form is not required. Record Access Requirements: Must have a notarized, signed release from immediate family member for investigative purposes. Note: Also, all requesters must include copy of government-issued photo ID. A request form may be downloaded from the web.